The masks are currently very conservative: the radii extend to regions where the source detection seems to be affected: either showing depletion (bright star wings) or suspicious enhancement (background over-subtraction around brightest stars). Some masks are really big (larger than patches). The masks do not necessarily imply the photometry is affected, it only assumes the source detection is. The photometry is probably fine down to smaller radius. 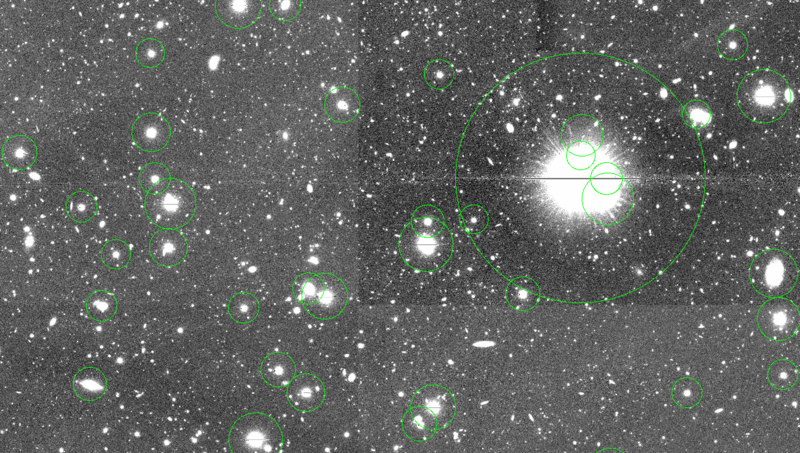 We cut the star catalog at mag < 17.5 (HSC point source saturation limit). The NOMAD star catalog however contains a small fraction of galaxies. 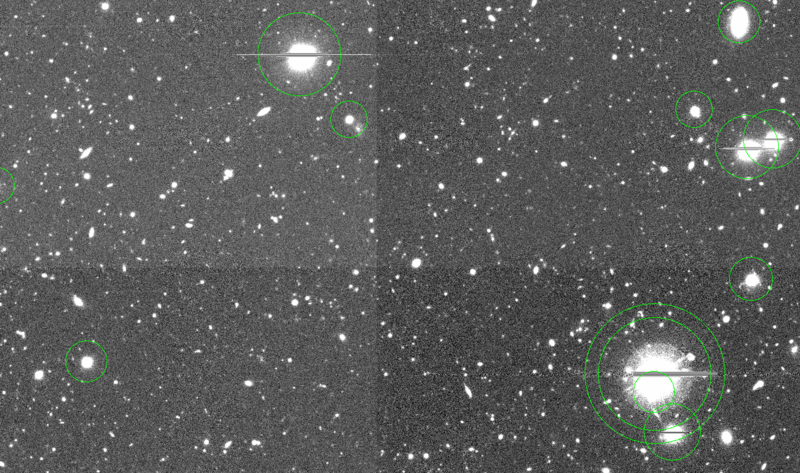 Some galaxies (brighter than 17.5) may be wrongly masked. Very roughly, 5-10% of objects brighter than 17.5 are galaxies. Each star mask has the same size in all HSC filters, set from the brightest magnitude among optical bands. As a consequence, some masks appear much larger than the star extension in filters where the star is not the brightest. The reddest band used to calibrate the mask size is r or i. Some very red stars might not be properly masked in z or y-band.